World Champion Pine Chip by Bill Orr. Growing up in Michigan, Orr (1925-) worked breaking in mustang ponies. When World War II broke out, Orr joined the U.S. Army and was a member of the cavalry regiment. Later seeing action on Okinawa in the Pacific Theater, he was among the first servicemen to serve in Japan after the war. Orr found his way to the Research Studio in 1961 after applying for a position through a newspaper advertisement. Orr, along with Maury Hurt, was instrumental in leading the movement to save the Art Center from developers in the 1960s. 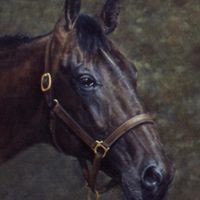 As an artist he made a living doing life-size portraits of horses. 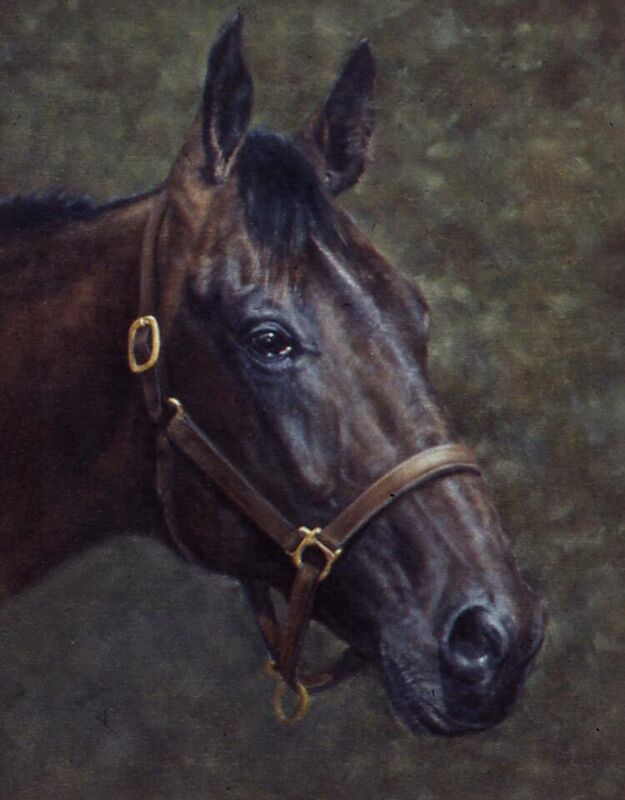 He would go on to establish himself as a leading equine artist, a tribute to his lifetime love of horses. Original painting: Orr, Bill. World Champion Pine Chip: Maitland Historical Museum, Art & History Museums - Maitland, Maitland, Florida. Digital reproduction of original painting: Orr, Bill. World Champion Pine Chip. Originally created by Bill Orr. Copyright to this resource is held by Bill Orr and is provided here by RICHES of Central Florida for educational purposes only. Orr, Bill. “World Champion Pine Chip by Bill Orr.” RICHES of Central Florida accessed April 22, 2019, https://richesmi.cah.ucf.edu/omeka/items/show/5380.